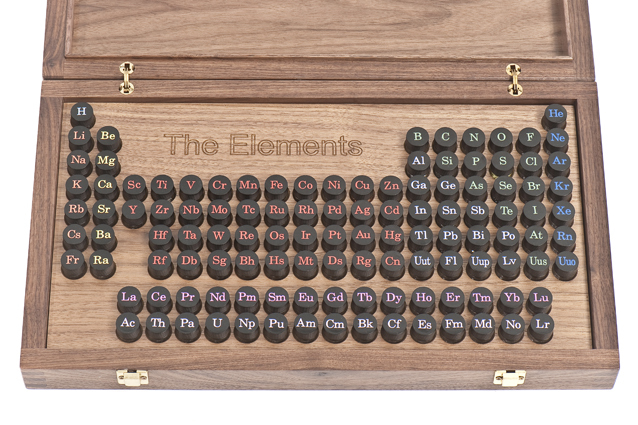 The brilliant Nature Briefing, a daily round-up of all the essential science news, opinion and analysis sent directly to your inbox, are giving away a beautiful boxed set containing real samples of all the natural elements in the periodic table*. Each element is presented in a clear glass vial with its chemical symbol engraved on the lid, which is permanently sealed for safety. Some of the more toxic elements, like arsenic and mercury, have a secondary containment vessel within the tube for extra protection. But of course there’s still a risk or them breaking. Sounds scary, but don’t panic, the samples are very small and a risk assessment form and clean-up instructions come with the table. Phew. To enter, all you need to do is sign-up to Nature Briefing. Already receive it? No worries, you can still try your luck. Click here for your chance to win – you have 34 days left to enter, good luck!